Vancouver, on Canada’s west coast, is fre­quently named one of the best places in the world to live. If you’re lucky enough to spend some time here, you’ll see why. It starts with a gor­geous phys­i­cal set­ting, with the down­town high-​​rises perched between the water and the snow­capped moun­tains. Beaches ring the city, and you can be on the ski slopes in under an hour. The tem­per­ate cli­mate, sim­i­lar to Seattle’s or Portland’s, means that you can enjoy the out­doors vir­tu­ally year-​​round. Vancouver is a vibrant, inter­na­tional city. As Canada’s gate­way to the Pacific Rim, Vancouver has a large Asian com­mu­nity with food, fes­ti­vals, and other cul­tural activ­i­ties that all res­i­dents can enjoy. There’s an active restau­rant scene, and the laid-​​back locals line the side­walk cafes when­ever the sun shines. So what’s the down­side? All this beauty doesn’t come cheap. The major draw­back to liv­ing in Vancouver is the cost. It’s Canada’s most expen­sive hous­ing mar­ket, and while it may seem rea­son­able com­pared to New York or San Francisco, you’ll spend a lot more to live here than you would in Toronto or Montreal. 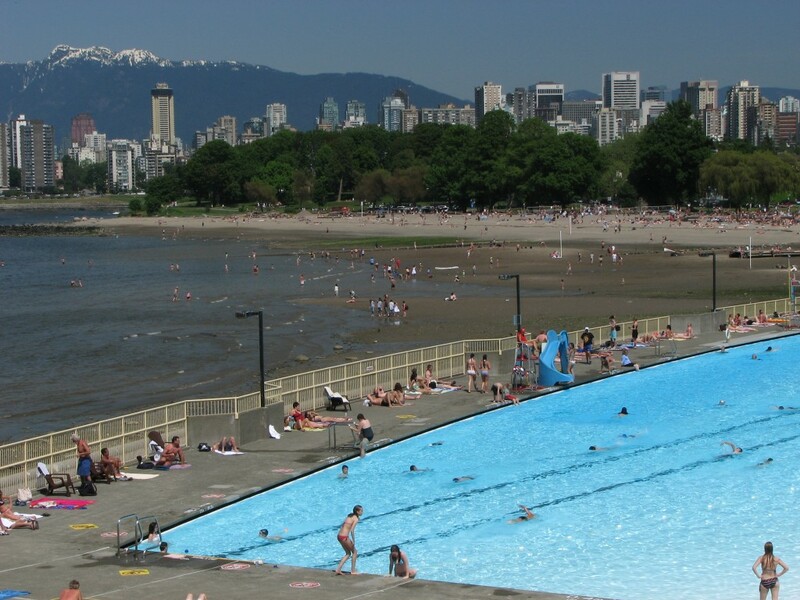 Even though Vancouver has one of the mildest cli­mates in Canada, the weather can still be a neg­a­tive. Summer is gor­geous, spring and fall are mild, but win­ter is unques­tion­ably wet. Freezing tem­per­a­tures and snow are rare, but if you’re headed to Vancouver, you may want to invest in some Gore-​​Tex.